There has been a recent wave of microscale models inspired by official LEGO sets… Maybe Brainiac has set his intergalactic collector sights on LEGO creations. 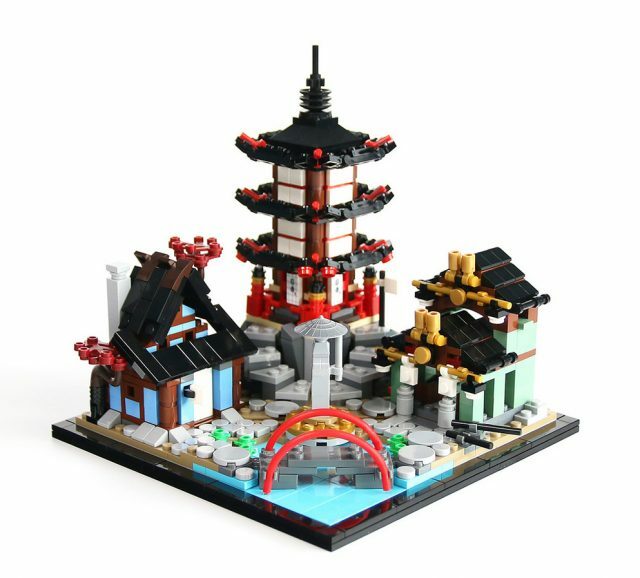 This microscale model of 70751 Temple of Airjitsu by play captures many of the great details of the larger set perfectly, from the tree next to the blue blacksmith shop to the gold ornaments on Sensei Wu’s tea shop. The temple itself is the perfect miniature replica of the traditional structure.